Do you know a child with special needs who would jump, twirl, bounce and hum at the chance to be part of a dance class? Darby’s Dancers is a wonderful new adapted dance program (non-profit based in Alabama) that has been growing rapidly nationwide. My daughter, Carly (with Angelman Syndrome, del+) has been in the program for 3 years and loves it! Classes and costumes are FREE to students with special needs and each student is paired with a volunteer coach-helper. In signing up new studios to host Darby’s Dancers programs, they are finding that studios are very eager to support the concept but apprehensive about whether they will get enough students to fill their class(es). For example, right now Darby’s Dancers has two studio owners on the brink of signing — one from GRAND RAPIDS, MI and the other in MADISON, WI. There is no question in my mind that lots of families want this type of program. It is just a matter of getting the word out. And as I know all too well, non-profits have limited budget for marketing. So we need to rally the word-of-mouth troops — and that’s YOU. Please help spread the word about this fantastic opportunity! 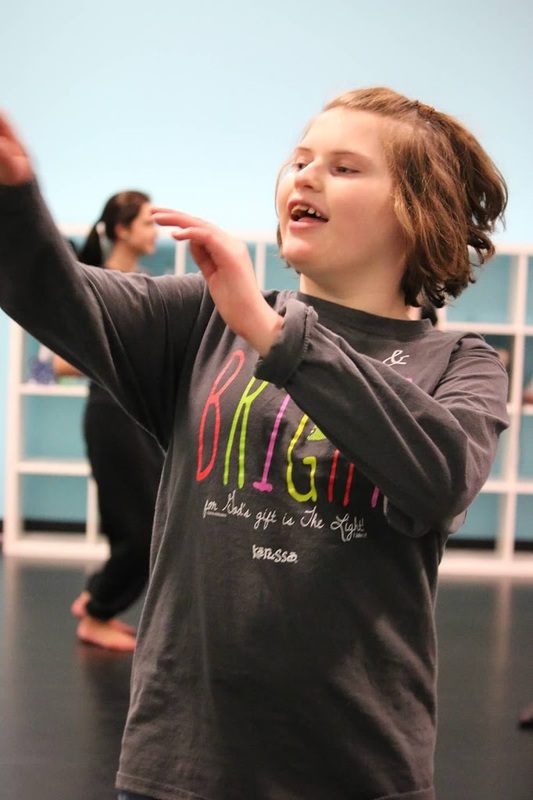 Studio owners and the Darby’s Dancers team want to connect with parents of children who have special needs and organizations who serve them. These connections help them get the word out and build confidence with potential host studios that there will be enough interest. Anyone interested in having a child participate and studio owners wanting to know more about offering classroom space should contact Valerie Jones darbysdancers@yahoo.com. Next Next post: Together & Free: That’s a beautiful place to be!